These day’s it’s probably very rare to see someone that doesn’t or hasn’t ever dyed their hair. 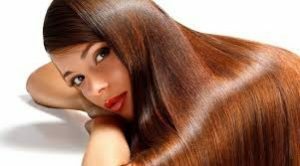 For most, hair color is a regular step in their beauty maintenance, as is the upkeep involved in keeping the hair healthy after its been exposed to the harsh chemicals in hair dye such as ammonia or bleach. The chemicals associated with strong dyes are one of the many drawbacks associated with products that are the most effective in changing the color of our hair, and there hasn’t been a really safe alternative to those products pop up on the market—until now. L’Oreal recently released its first permanent (yes, permanent) Ammonia free hair dye called Inoa. Inoa, which is short for Innovation No Ammonia, promises to deliver all of the benefits of other permanent hair color without the harmful chemicals like Ammonia, all while leaving the hair soft and beautiful. While Inoa certainly isn’t the first ammonia-free hair dye to hit the market, it may be the first to actually make a huge impact on the hair color industry. Salons around the world are beginning to offer the product as an alternative to ammonia hair color, and the results have been positive so far. 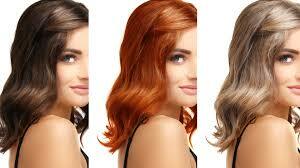 What also sets Inoa apart from other ammonia free hair color is that its possibly the first truly permanent solution. Previously, safer hair dyes usually meant a lot of upkeep or that they would only last a couple of weeks at maximum. Hair dyes like Manic Panic’s line of colorful and vegan products are certainly popular with anyone looking to add a fun, temporary pop of color to their hair but don’t last more than a few days. Inoa is truly permanent, and many are switching to the product as a source of permanent color during their regular salon visits. Ammonia dyes are still much more powerful than any other hair color available in a salon, since the chemical allows a deeper bonding process for how the color soaks into each individual hair strand. Inoa, is the perfect solution for those looking to steer clear from chemicals, try a drastic new hair color or even color their hair for the first time. The product is safer to use with children or teens, so if your child wants to color their hair for the first time this is a wonderful product choice that won’t do much damage. Inoa hair color will leave hair feeling softer and healthier than ammonia hair color because it has less harmful chemicals in the formula. The stylists at Aaron Emanuel can use Inoa in your next hair color appointment upon request, but many salons offer the product for just a little bit more than their more damaging alternatives. Book your appointment at Aaron Emanuel today to use Inoa hair color in your next coloring session! Imagine this: you’ve found your dream hair color, you color-match it with your hair stylist and get going, only to find out that it looks terrible with your skin tone or hair texture. Unfortunately, we’ve all been there. Finding the perfect hair color takes quite a bit of trial and error that can be a costly problem to work through. Fortunately, there are a few ways to find the perfect shade and color for your unique skin tones and hair texture, it just takes a bit of research to get there. Below we’ve highlighted some simple ways to find the perfect hair color and shade that will highlight your best features, not drown them out. Most people think that it’s pretty easy to define what your skin tone is just by looking at it, but in order to correctly identify the exact hair color that will fit you best you’ll need to take a deeper look. Take some time to figure out what colors look best next to your skin. Deeper skin tones will pop with bright, rich colors such as purple or a deep red. They’ll also look great next to both silver and gold, while cooler or lighter skin tones will only look good with one or the other. The warmth of your skin tone is usually defined by four different types: deep, warm and cool. To figure out your skins undertones look at your eyes and consider which colors of clothing and makeup look best on you. Those with blue, almost black, gray or greenish blue eyes are known to have a cooler complexion. Meanwhile, those with warm eye colors such as warm brown, auburn, hazel or green have a warmer complexion. Cooler tones look best with cooler shades of hair color, while warm tones look best with the opposite. Think about it this way, your skin tone needs to be brought out by your hair color, so pick a color tone that will complement the undertones of your complexion. 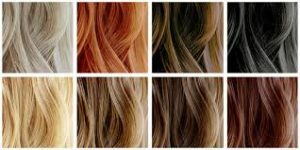 This applies for all color shades from blonde to black, so talk with your colorist about which tones would look best on your skin. Once you’ve determine whether your skin leans on the warmer or cooler end, you’ll be able to determine your skin’s shade to finalize the perfect hair color choice. Skin shade can be described in a variety of colors from deep dark to porcelain. In the same way that you want to pick a hair color that will match your skin tone, you’ll want to pick one that matches its shade. Darker shades generally look the best with darker, deeper colors, but any color can look good with any skin shade if chosen correctly. Those with paler skin will find that lighter hair color often looks the best, and a good rule of thumb to remember is that the lighter your skin is, the lighter you can go. 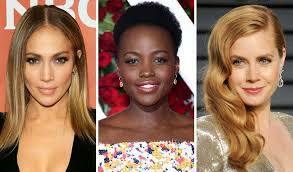 Those with dark, deep skin tones will want to choose a hair color that is both warm and dark. Deep browns or even blacks work best for these types of complexions. Meanwhile, very fair, cool skin looks best with ashy shades of blonde or light brown, while those with warmer undertones and pale skin will find that lighter reds and strawberry blondes will work to bring out a glowing complexion. Finding the perfect hair color doesn’t have to be a stressful task, and the colorists at Aaron Emanuel salons in New York can help you choose the perfect shade and tone that will keep you glowing year-round.